The future of home heating has arrived. The Nest Learning Thermostat tracks your daily routine and generates a heating schedule automatically. The smart thermostat also tracks changes in your habits and alters the schedule accordingly. It can save you an average of 10% on your heating bill. With Nest Learning Thermostat, you do not need to worry about heating or cooling. This smart thermostat learns from your temperature preferences and habits and takes care of this chore for you. The Google Home Hub comes with a touch-screen display that is easy to use. This bundle deal also includes a free Google Home Mini which will let you use voice commands, making this even more convenient to use. This Nest Thermostat bundle includes everything you need to get started with your smart home. The design, usability, and technology makes this a must have for anyone looking to upgrade their home. Eco Mode and energy use information in the app allows you to save on your energy bill. With the voice activated command, it won't be long until your Nest Thermostat is learning your temperature habits and making your life easier. Easy to use voice activation: A simple 'Hey Google' allows you to control your new thermostat as well as other compatible smart home products. Ask Google Assistant for help such as directions, latest news, creating reminders, and much more. The Google Home Hub and Google Home Mini even recognizes your voice, giving you a custom interaction, everytime. Information you can see: The Google Home Hub has a 7'' LCD touchscreen display, giving a new way to control your home assistant. It has also other great functions, like displaying recipes using recipe apps, and displaying your latest family vacation photos. Powerful Speaker: The Google Home Hub is not only great for assistance with chores. Use the powerful speakers to play your favorite songs using Spotify, Pandora, or Tunein. The 2'' driver and double 2'' passive radiators deliver rich, full sound. The center o your smart home: Google's smart home control center has been designed to be your smart home core. It is compatible with 100s of smart home brands. It has many benefits and functionalities, such as connecting with smart security cameras thanks to its 7'' LCD display. Stay in control: The many possibilities of using the Google Home Hub can seem overwhelming sometimes. Luckily, the Google Home App simplifies your experience by showing you exactly what it has to offer while making it easy to integrate all of your devices in one place. Make your life easier with this Nest Thermostat bundle. This smart thermostat automates your heating and cooling system, learning your daily heating and cooling habits, creating the perfect set-up for you. When you are ready to make a change to the temperature, give a voice-command to the Google Home Mini, right from your seat! The Nest Learning Thermostat has a modern design which is stunning. The features, including its round shape, and stainless steel accents display a innovational look compared to traditional thermostat designs. The ring on the outside of the thermostat functions as a dial for manually adjusting the temperature. When the thermostat senses someone entering the room, the screen automatically turns on, displaying the current temperature, time, and the weather. This product is not only functional and easy to use, but it also adds to the decoration to your home. 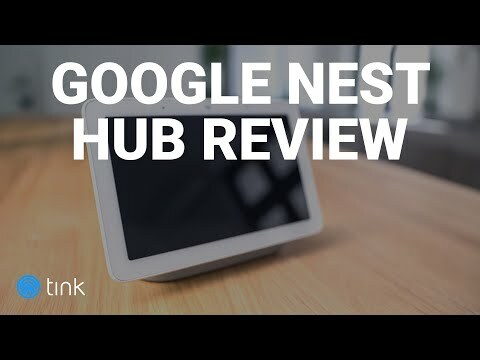 Included with the Nest Learning Thermostat comes the Google Home Hub and Google Home Mini. The additional devices are equally pleasant to look at and matches the design, thanks to their sleek, round shape. The Google Home Hub has a functional screen and amazing sound system, making it even more functional. The Google Home Mini fabric-covered surface functions as a touchpad for pause/play and volume. When you give a voice command, four lights shine through to indicate your command has been heard and is under way. Installing the Nest Thermostat requires working with wires Once installed, it connects easily with the Google Home Mini. All three products are made from high-quality materials and use reliable software. Both apps are user-friendly and easy to use. In the Google Home app, you'll find suggestions for commands to the Google Assistant. The Nest Thermostat offers Eco Mode, energy use display in Nest app, control from anywhere, and more. With the Google Home Hub and Google Home Mini, play music, manage your smart home, and of course control the temperature with voice commands. The Nest Thermostat communicates using wifi and reliably regulates the temperature. The Nest Thermostat has a stunning design that adds to the aesthetic of your home. The Google Home Hub and the Google Home Mini are also thoughtfully designed products. The microphone on the Google Home Hub and Google Home Mini only listens when the command ''Hey Google'' is heard, and it can be muted at any time. The Nest Thermostat helps you to save on heating costs and practically pays for itself over time. Can I use more than one Nest Thermostat in my home? Yes, you can use up to 20 Nest Thermostats in one home. Which HVAC systems is the Nest Thermostat compatible with? Which operating systems is the Google Home Mini compatible with? The Google Home app is available for Android and iOS.